Bad news fans of the Brewis brothers, and the Birthday Boy, due to illness, Field Music will not be playing at The Bell House tonight (Dec 3). The rest of the show will go on as planned though, with Wye Oak, Pulsars and Rumours (an all-star indie rock tribute to Fleetwood Mac) filling out the bill. All advance ticket holders will get in for FREE to tonight’s show, and also be guaranteed admission to the rescheduled Field Music show in early 2010. This is one of my worst days for some time. Unfortunately, we are not able to play our scheduled shows in New York tonight and in Chicago on Saturday. I’ve come down with flu-like symptoms and given the swine flu situation, spending eight hours sharing my germs with the population of an aeroplane heading to the US would seem like a very silly and fairly irresponsible thing to do. I’m totally devastated about this and would like to apologise to everyone who’s bought tickets to come and see us and also to the promoters who’ve spent so much time and effort organising for us to come over and promoting the shows, especially to Jack at the Bell House – we were supposed to play this evening as part of his birthday celebrations. 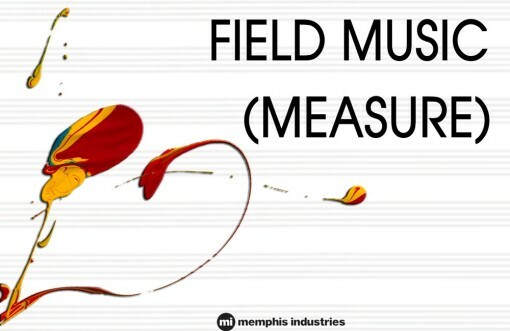 Field Music‘s new album, (Measure), will be released on Feb 16, 2010 on the Memphis Industries label.